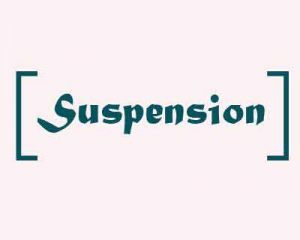 Alapuzha: A senior orthopaedician working with the Alappuzha General Hospital has been suspended after he was found guilty for allegedly performing an unnecessary surgery on the foot of an elderly patient. A probe into the matter was initiated after the relatives of the patent had registered a complaint against the doctor. Dr S Sreedevi, hospital superintendent and Dr Vasanthadas, district medical officer submitted a report to health department, stating the reason of an ego clash between the doctors at the hospital that led to miscommunication and consequently, the surgery. “The incident took place in October. Manoharan, 81, Alappuzha approached Dr Viju for the treatment of leg injury. With treatment was delayed, another doctor in the same department Dr Hariprasad began treating Manoharan. After a few days of treatment under Dr Hariprasad the patient got relief and came into normal state. However, when the patient was discharged, Viju arrived and cancelled his discharging. The doctor claimed that his injury was not healed and the patient should undergo another surgery. Then he forcefully performed a surgery on patient’s foot,” said the inquiry report. Dr Nita Vijayan, additional director, Health (Vigilance) found the doctor guilty in the matter reports TOI. One must punish such a fool person because of whom the whole medical fraternity is being blamed. No one should support such people. To avoid that kind of attitude taking over there need to be Multidisciplinary teams in the hospital meeting every week to make decisions on such patient where there is disagreement amongst doctors ref the treatment path to be followed. The surgeries need not be a number Game. There should be prior discussions, planning and preparation and with set protocols. Out come of the surgery depends Up on so many factors. Unlike other surgical specialities, orthopedics is altogether different and Demanding. That\’s why the place/ Fatalities, the persons ( knowledge, skills and experience). And the mechanism of injuries and morphology of the , FRACTURES , Age & Health status of the patients determine outcome of the management. Above all proper Documentation from start to end is most important, which is a rarity in our country. ( We quite often come across a shabby case sheets scribbled by someone with proper identification. The art of documentation has to be improved. Kerala need a board for medical discipline.It should have representations from medical,legal,judicial ,administrative and public reparasentations.Both parties should have legal representation.State of New York have a good system.political interference should be avoided. I would like to know the details of the case.I am doubtful about any surgery termed to be unnecessary.Also would like to know the eveidence referred by the council against the Orthopedic Surgeon.